Below is a summary of the highlights of this release. 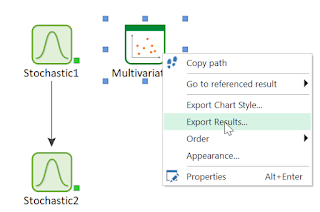 The first feature I'd like to mention is the ability to export all final value results for outputs referenced by a Multi-Variate result element. 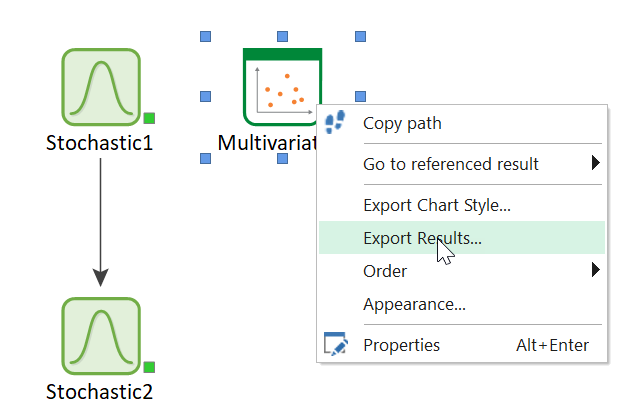 In result mode, when you right-click on the Multi-variate Result icon, there is now an option to 'Export Results...' in the context menu. When you select this, GoldSim exports the final values to a comma delimited text file. The header includes all the output names. Also, there is an option to include the full path of the output if you hold the Shift key while selecting "Export Results..." from the context menu. Result values are always exported in their defined display units and using globally defined precision and formatting rules (just like they would appear in the table). 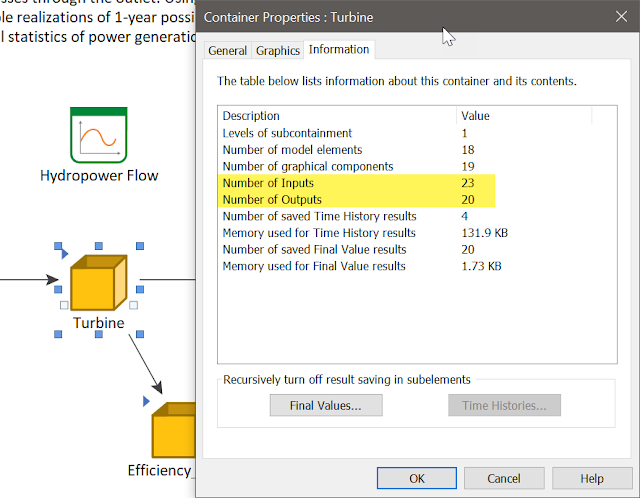 I tried this myself using one of our library models that has Multi-Variate Charts - the Dam Break Risk Assessment model. To follow along, please see this short video recording showing the process. Another little feature that I wanted to mention is the additional information shown in the Container Element Information tab about the total number of inputs and outputs (including all elements of non-scalar inputs/outputs). This information is useful for understanding how many results are contained inside the container and not just how many elements. This can be useful information for large models. Another improvement made to GoldSim in this update is related to performance of large and complex models. This applies to loading, saving, building the causality sequence, sequencing large cell-nets, and copying/pasting in large models. This feature could significantly speed up those processes, depending on the type of model you have. Feel free to contact us if you have questions about this improvement. We fixed an error that occurred in the Pipe Element (in the CT and RT modules) when handling particulate matter and matrix diffusion. If you happened to be using a Pipe element and simulating matrix diffusion AND suspended solids, the suspended solids were mistakenly allowed to diffuse into the matrix. This has now been fixed. We are always improving GoldSim and whenever a bug is found, we make it our top priority to fix them as time permits. This update includes some minor bug fixes that we caught (or our customers caught) since the last update. These don't need special mention but if you are curious, you can always read about them in our Release Notes.